The GYM has moved from South Glens Falls to this Queensbury space. 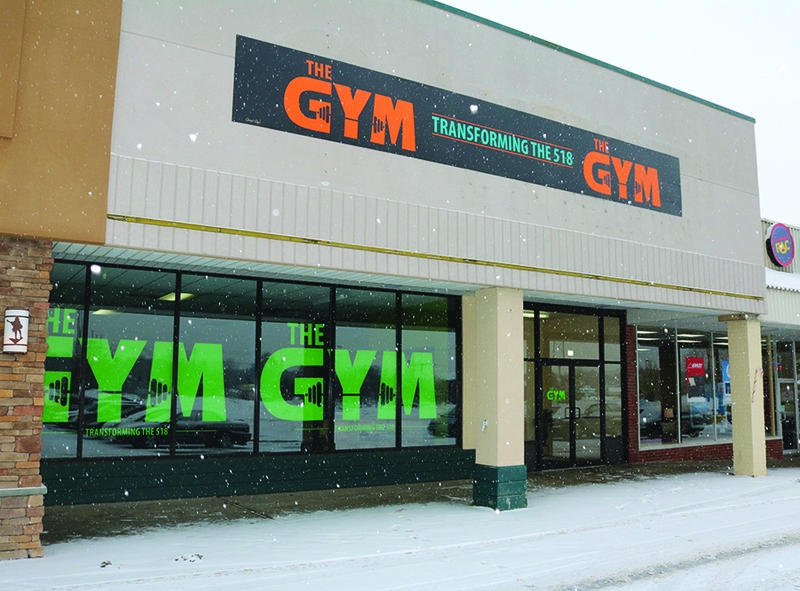 With the start of 2018 comes new year’s resolutions, and the GYM, which opened on Dec. 18, is ready to help people meet their fitness goals. The GYM located in South Glens Falls since 2014. The popularity and success caused the business to outgrow its space. Now located at 762 Upper Glen St. in the Queensbury Shopping Plaza, the new, 7,300-square-foot facility offers members a larger facility, new equipment and an athletic trainer, T.J. Harrington, who once worked with the then-Anaheim Angels professional baseball team, and a physical therapist, Adam Lewis. Unlike a standard gym, where members are left to work out independently, the GYM operates more like a training facility. When members first sign up, they receive an assessment, wherein a trainer determines what their personal fitness goals are and helps them set a schedule in order to achieve them. From there, members are carefully supervised and attended by a professional trainer, who assures they’re utilizing the proper techniques in their workouts. Further separating itself from other workout facilities, The GYM doesn’t rely heavily on machinery. Instead, its members benefit from simple tools, like kettle balls, and perform core strengthening and weight resistance exercises to get fit. Helping people to get fit and reach their physical goals was one of owner Ryan Holderman’s chief desires upon opening his gym. He also wanted to help clients improve their self-images and personal mindsets. Holderman, who has been working as a personal trainer for over a decade, accomplishes this by taking a personal approach to clients. Though he trains anywhere from 50-60 people a day, he makes a point to learn the reasoning behind each individual’s personal goals. According to Holderman, his method works. “Our retention rate is through the roof,” he said. Holderman hopes his facility can become a “one-stop shop” for his clients, who can get physical training, as well as physical therapy. The GYM is open Monday through Friday from 5 a.m. until 8 p.m.; Saturday from 7 a.m. until 2 p.m.; and Sunday from 9 a.m. to noon. For more information, call (518) 955-5929.